Fresh cheese spread gets an updated flavor in this roasted pepper Boursin cheese recipe. The cheese is dressed up with smashed garlic, fresh herbs, and jarred roasted red peppers. 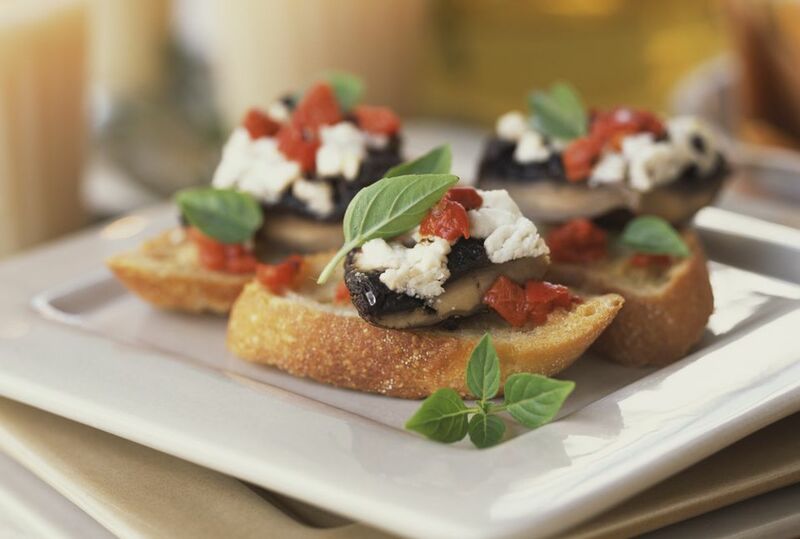 This elegant appetizer is so easy to whip up and spread on toasted baguettes right before a last-minute gathering. Mix all the ingredients together and allow the herbed cheese to chill for at least 30 minutes before serving. Cheese toasts: Toast baguette slices to make croûtes and spread them with a small amount of the peppered cheese spread. Crudité platter: Serve marinated raw vegetables with a pot of roasted pepper Boursin for dipping. Stuffed eggs: Use this cheese spread in place of mayonnaise when making classic deviled eggs. Creative salad: Use roasted pepper Boursin as a delicious addition to a green, chopped salad - as part of the dressing or as an individual topping. This roasted pepper Boursin cheese recipe makes 8 servings.